I don’t normally do Sony blogs but, good news! The release date for the greatly anticipated Playstation Vita has been confirmed as the 22nd February 2012 for North America, Europe, Australia and Latin America. This is gaming platform is going to rival the generally rejected Nintendo 3DS, even though the Vita isn’t 3D! The console will be available as: a Wi-Fi only model (£229.99) or a combined Wi-Fi and 3G model (£279.99). 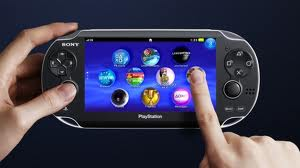 The new Playstation Vita is the follow-up from the ‘PSP’ which was a big hit, selling 70 million units worldwide. The New console has a five-inch OLED touch screen, a rear touch pad, rear and front cameras and two analogue control sticks. All games will be available to download from the internet, but some will be sold as a ‘slot-in-card’ sold in shops. An impressive range of titles has already been reveled for the console including variations of Assassins Creed, Call of Duty and Little Big Planet. About 80 titles are already in production for the console. The console has 4 social networking capabilities, a video chat, Facebook and Twitter access, and a close proximity data sharing service named ‘Near’ which allows Vita owners to communicate and automatically swap data. There will also be a compatibility with the PS3 to play games and communicate. Thanks a lot of this useful post. Your website is amazing keep up the good work.